Niloufar is in search of something…her SMILE! 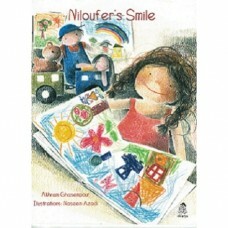 She looks under the bed, in her drawing book…Read and find out where Niloufer finds her smile. Beautiful, warm coloured illustrations will also make you smile with Niloufer.